Smania is set to wow Moscow with an elegant, sophisticated array of products, showcasing the way it expertly uses combinations of wood, leather and fabric to create a warm and inviting feel. The brand’s space at Saloni Worldwide Moscow 2018 is designed to put visitors at the centre of attention and allow them to embark on a voyage of discovery into the brand’s philosophy. Carefully selected materials, artisanal manufacturing techniques and stunning combinations of colours, shapes and fabrics come together to create an exclusive yet unconventional sense of luxury – one that embodies the brand’s constant exploration of the worlds of classic and modern design. During the event, which runs from 10 to 13 October at Moscow’s Crocus Expo Centre (Hall 08, D15), the Italian company will showcase a range of its furniture products, with the pieces designed to contrast and interact with one other to create a uniquely sophisticated setting. First up is a luxury study dominated by the LOCK desk, designed to combine classic style with modern needs. It’s a wonderful example of the talent of the Smania’s sartorial craftsmen when it comes to attention to detail. The desk, which features a grey leather covering, stands out thanks to the colour contrast created by the rosewood of the compartment, with its dark veining. On one side sits the stunning GRAMERCY executive chair. Noble and austere, it features an ergonomic seat pad and back rest in leather. 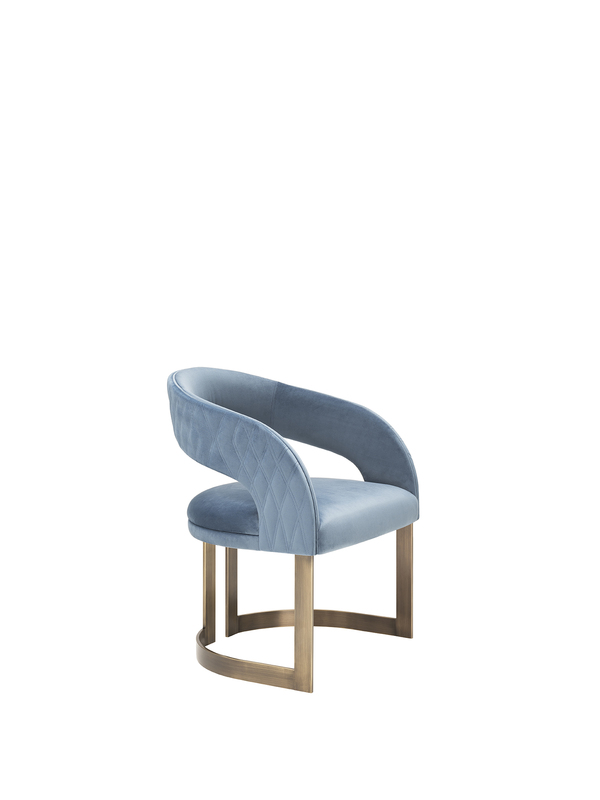 On the other side of the desk is the bold yet comfortable GATSBY chair, whose open backrest breaks up the space. Completing the study are the CONTINENTAL rug and large BELMOND sofa, a new product for 2018 by Ioso Ghini. 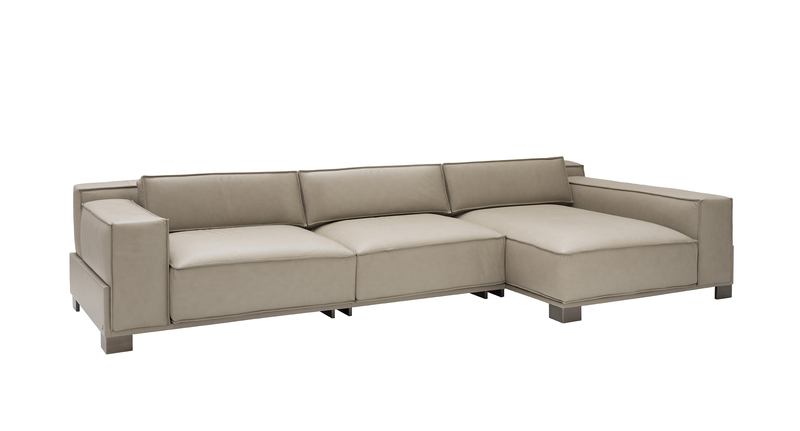 This modular sofa is available in both leather and fabric, with big cushions that can be moved about at will. The journey continues in the second part of the stand, where the sumptuous and elegant GRAND SOHO bed stands at the centre of a bedroom, flanked by two elegant GLAM side tables in leather and watched over by two MAILA ceiling lamps in ceramic in a “lustrous” finish. Also present are the DENVER rug and LOCK decorative panel, whose combination of straight and curved lines creates an intensely beautiful effect. The EMBASSY chair, another new piece for 2018 by Iosa Ghini, completes the room. It is a dynamic, cosy piece, fully padded, with arched arm rests. Meanwhile, GISELLE, a steel table with detailing in shiny black nickel, and LOREN, a versatile wooden make-up table, increase the storage options for the room. Against the opposite wall stands the CONTINENTAL chest of drawers, which combines the elegance of wenge wood with the shine of black steel. Also on show are the SHARON table lamp in Murrina, with steel detailing and a shiny rose gold finish, the low LOCK sideboard and the BRION mirrors with wooden frames and steel detailing. This stunningly creative collection of furniture solution promises to be a hit with the Russian market, which is increasingly alert to quality, innovation and exclusivity. After Moscow, Smania will participate in the exclusive Salone del Mobile.Milano Shanghai between 22 and 24 November 2018.